If RCom GSM users were unable to connect to their friends and peers on other networks, then you don’t have to worry much because TRAI playing the role of a father has directed all the other GSM operators to provide an interconnection to RCom’s GSM division. The order was issued to Bharti Airtel, Idea, Spice, Vodafone and BSNL. The interconnection will be done by Thursday but it seems the GSM operators are not happy with this bullying. Apparently, the reason behind the disconnection was the interconnection charges. The GSM players say for providing interconnection to a new network, RCom had to negotiate fresh commercial terms. 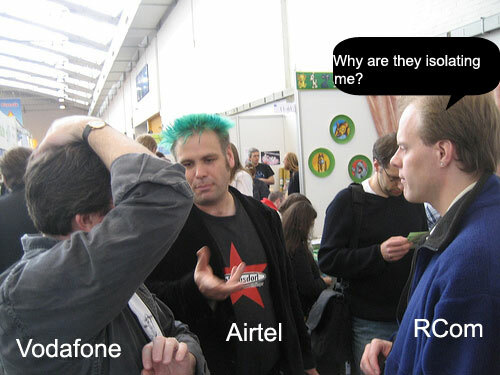 The existing interconnect agreement with Reliance was limited to providing links for its CDMA network.